We’re very excited to announce the addition of another language to our range, as Portuguese receives the Geoglot Verb Blitz treatment in our latest release for Android. Featuring both regular and irregular delensions, Portuguese Verb Blitz is a great way to practise your grammar and expand your core Portuguese vocabulary. As well as providing a handy reference for scores of commonly used verbs, the interactive activities put your knowledge through its paces, testing meaning and morphology to help cement fluency. As with all Geoglot Android apps, Portuguese Verb Blitz is totally free, supported by ads on menus and static screens (but never in the games). 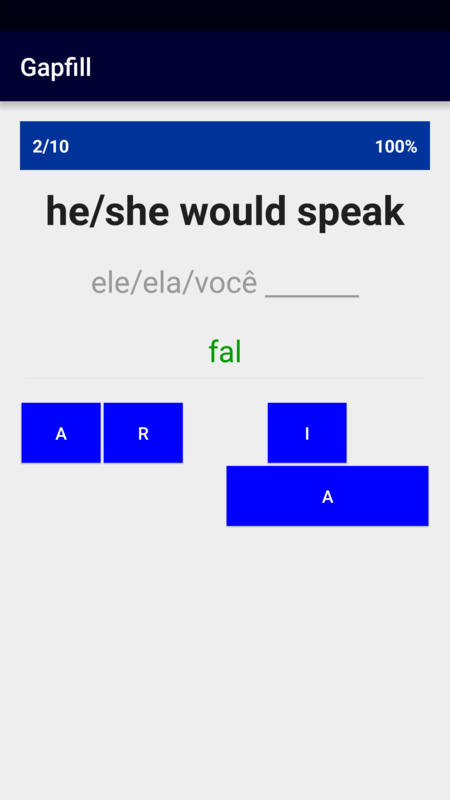 Download Portuguese Verb Blitz from the Google Play Store at this link!